There’s a time when a beloved neighborhood bar changes hands that regulars ought be a bit concerned. 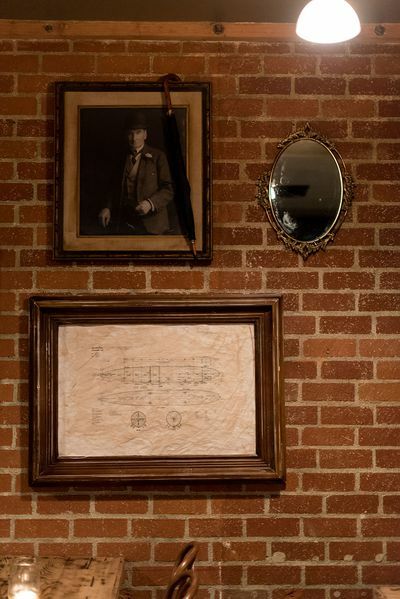 This one isn’t that, mostly because the spirit of Culver City’s lovable The Corner Door on Washington Blvd. isn’t completely leaving the place. 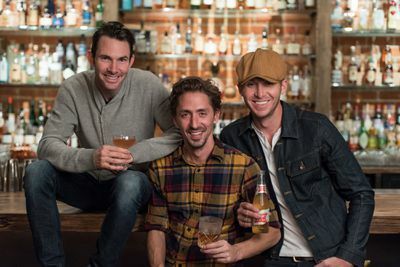 Longtime barman Beau du Bois has joined forces with Zach Patterson and Austin Melrose of Melrose Umbrella Company, who now own the place under their new company moniker Umbrella Hospitality Group. 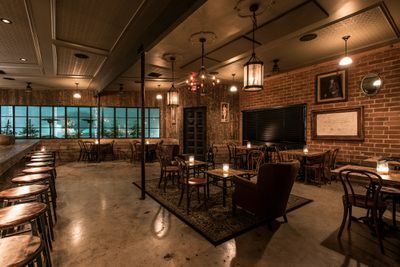 What that tangibly means for The Corner Door fans is that Beau du Bois is now the head bartender and general manager of the place. 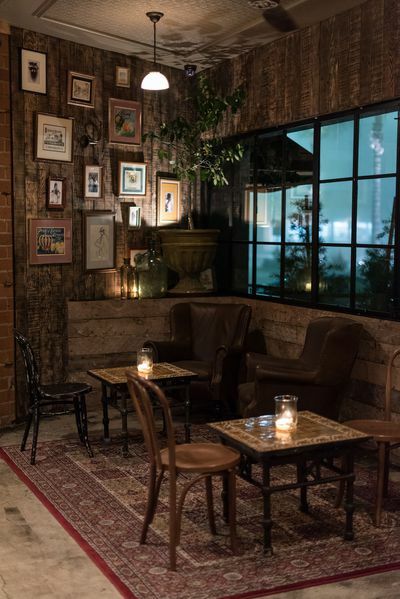 It also means a fresh look from Austin Melrose that includes a 300-year old mission door from Baja California, a hodgepodge of vintage photographs, and a sweet new opened-up lounge area that beckons locals to come in and enjoy themselves for the evening. 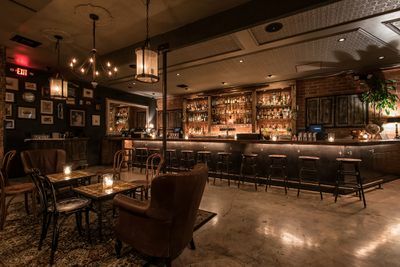 Although it eschews the straight antique look of Melrose Umbrella Co., you can see a lot of the DNA filter through to this location, which feels like an old traveler’s den. 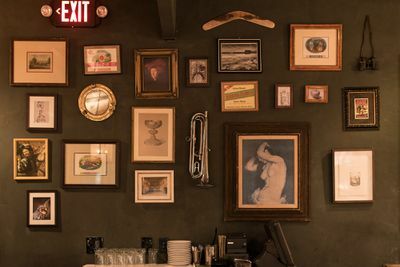 A reworked menu feels a little daintier, a little more cheffed up from The Corner Door’s previous bill of fare, with devil quail eggs (true finger food), kumamoto oysters, and lobster tacos to go along with a heartier plate of branzino or roasted Mary’s chicken. Don’t worry, there’s still a burger on the menu too, for those aching for a pub experience. Beau du Bois has carried over some cocktails from his previous menu too, like the Taco Truck and Mezacallin, but a few more sweet, approachable drinks dot the list. A coconut mojito tastes like every great mojito you’ve had, but with a slight twist. 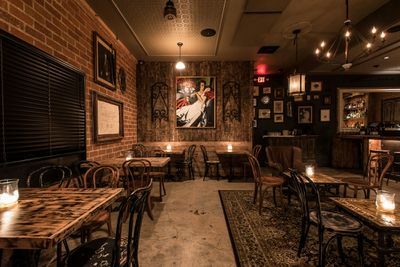 A Brooklyn uses house-made amer picon for a soothing sipper late at night. 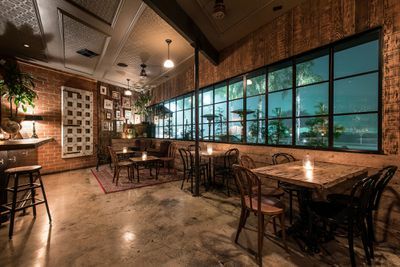 Umbrella Hospitality Group has a new cocktail-focused place opening in Hollywood in March, which will bring the entity’s holdings to three in just a month’s time. The Corner Door is open 5 p.m. to 2 a.m. nightly, with food served until 1 a.m. (perfect for local industry folks). And maybe on your next visit, that usual handshake just might be a hug. 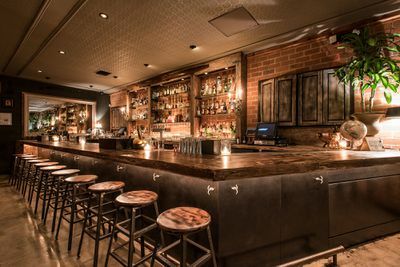 “The Corner Door’s Major Revamp Helps Culver City Get Even Cozier.” Eater LA – All. 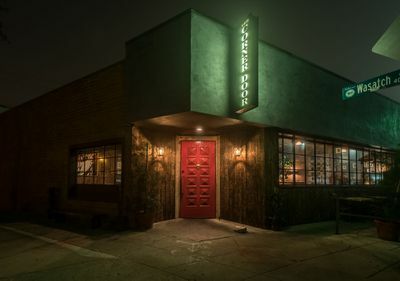 http://la.eater.com/2017/2/17/14649324/the-corner-door-remodel-culver-city-photos.